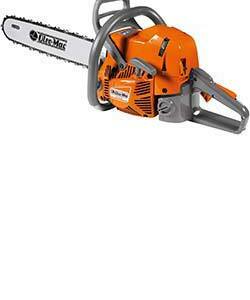 Chainsaws for sale from Northern Ireland to everywhere in Ireland. 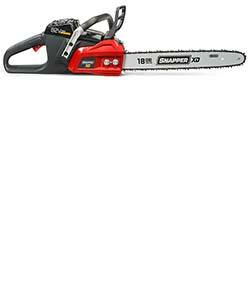 At AM Rentals we supply only the best brands of chainsaws for sale in Ireland at the best price in Ireland and Northern Ireland. 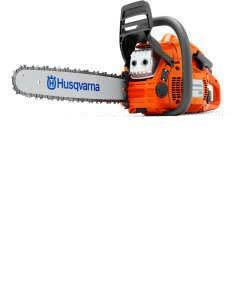 We are agents for Stihl, Husqvarna and Oleo Mac chainsaws, supplying customers all over Ireland with great deals on saws. We have been selling chain saws since 1980, building up a wealth of knowledge along the way. This experience has taught us to only sell the best brands, which is why we stick to our three main brands. 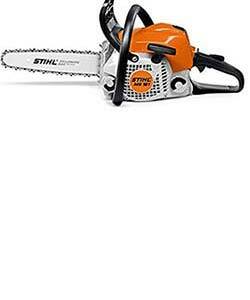 Our Stihl chain saws for sale are famous the world over, known for their excellent build quality and longevity. The Husqvarna range of chain saws need no introduction. Husqvarna have been pioneering petrol chain saws for well over 60 years, they are a household name and the world's largest manufacturer. 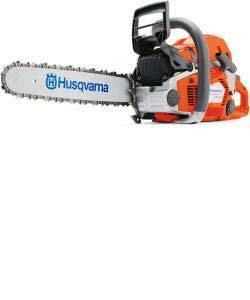 We can deliver your brand new Husqvarna saw to anywhere in Ireland, call us today to order yours. As well as a comprehensive range of petrol chainsaws we also stock a wide range of cordless chain saws from Stihl, Husqvarna, Snapper and Ego. 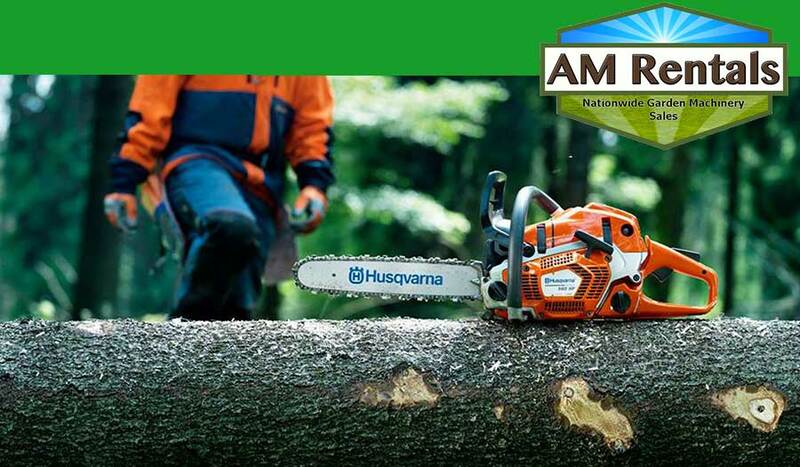 Husqvarna chain saws for sale in Ireland from AM Rentals. 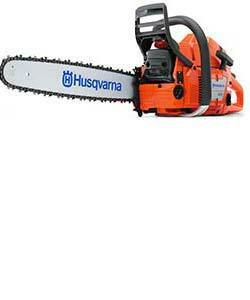 This great range of Husqvarna chainsaws for sale needs no introduction. Husqvarna have been producing quality products since the company's inception over 350 years ago. They have been pioneering chainsaw development for over 60 years and have become a world leading brand. 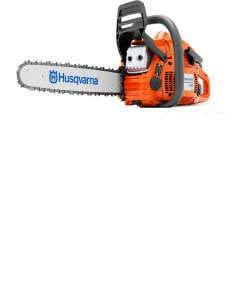 The Husqvarna chain saw range for sale in Ireland includes saws suitable for home owners right up to professional models for arborists and loggers. 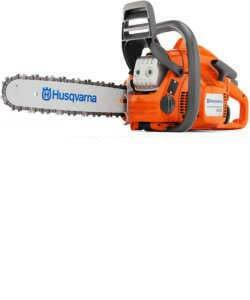 We can deliver any Husqvarna chainsaws to anywhere in Ireland for just £10 extra. 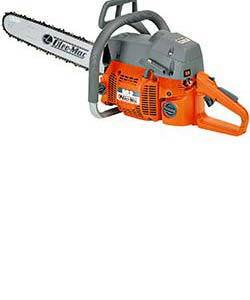 Stihl chainsaws for sale in Ireland from AM Rentals, Newry. 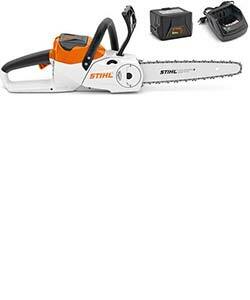 Stihl are one of the most popular brands of petrol chainsaws we sell from our shop in Newry, Northern Ireland. 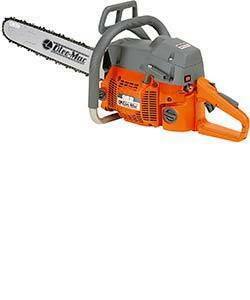 Our customers keep going back to the brand due to their excellent build quality and the long life of their chainsaws. Our Stihl range of chain saws covers homeownwers wanting a small saw for firewood right up to professional users felling large trees and every user in between. Oleo Mac are an Italian brand of garden machinery with a reputation for making class leading chainsaws at great prices. Over the years Oleo Mac chainsaws have been a favourite of Irish farmers and forestry workers who need a dependable, powerful saw for clearing. With the introduction of their smaller chain saws they have become increasingly popular with homeowners, who need a smaller saw for around the garden or cutting fire wood. 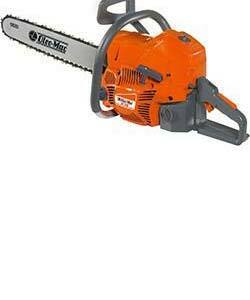 We can deliver your brand new Oleo Mac chainsaw to anywhere in Ireland for just £10 extra. Call us today to order yours. We supply a range of battery powered cordless chain saws from the world's largest manufacturers. 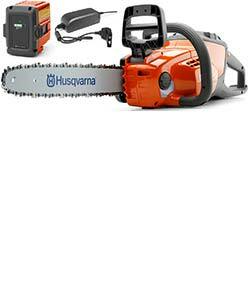 We supply the range of Husqvarna cordless chainsaws and the Stihl battery chain saw range. 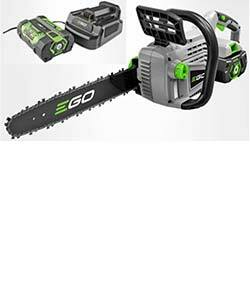 As well as Husqvarna and Stihl we also supply Ego chainsaws to customers all over Ireland, as well as the 18 inch Snapper battery powered chainsaw - made by Briggs and Stratton.